Sugarlips Apparel original site design & development for B2C & B2B ecommerce solutions. Original Magento Design in 2010, store configuration & setup, bulk product import, color swatch picker implementation, misc plug-in integration, wordpress blog design & development, mailchimp integration, various extension customizations. The site has since changed domains & gone through several theme revisions and can be viewed at sugarlipsseamless.com. 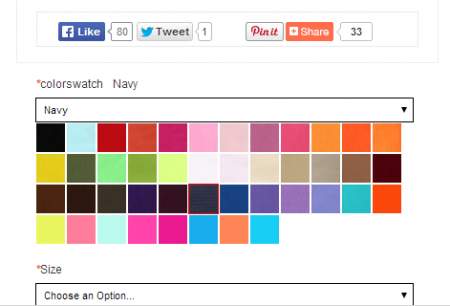 Custom color swatch picker implementation for custom themed Magento store to handle 70+ swatches and minimize thumbnail image ...Client: Offline, Inc.